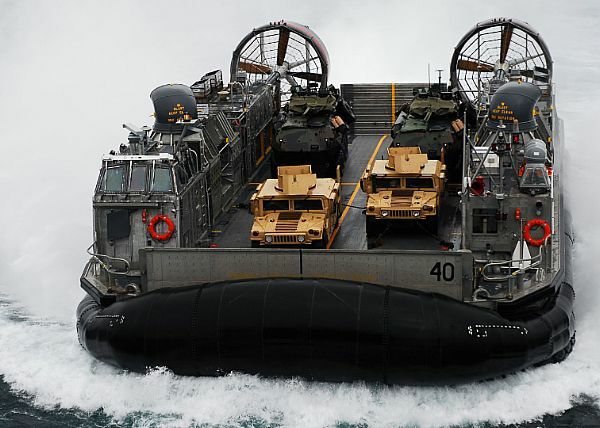 ↑LCAC 100, Textron's first-in-class Ship-to-Shore Connector (SSC), conducts its first on-water test outside of the company's facility in Louisiana on April 10, 2018. Textron photo. Image courtesy of USNI news.